Across a variety of studies, art therapy has proven itself to be both clinically effective and cost-effective, a way for people – children in particular – to communicate and express themselves in a safe, therapeutic way. Intuitively, it just sort of makes sense: where traditional communication fails us, we turn to art to express our otherwise ineffable or painfully intricate emotions. This has been the case for a very long time – since the early cave people scrawled imitations of the wild and bewildering world around them. We use art as a way to constrain and communicate the often overwhelming raw data the world feeds us day after day. It’s no surprise then that it is a particularly effective, humanistic and creative way to allow children the therapeutic experience. Art therapy is a way of integrating creativity and psychotherapy to create an engaging, communicative experience for the child or client. Though its roots date back to the 18th Century, art therapy came to prominence (and received its name) around the middle of the 20th Century, when, after the Second World War, it took on special significance with those unable to communicate their experiences in words. It can be greatly beneficial to those who’ve suffered trauma, those suffering from anxiety, those diagnosed with autism, and those children who are apprehensive about talk therapy. Practiced by registered, qualified art therapists, it places emphasis on the creative process – both the creation and reflection involved – to help people practice introspection and awareness of others, as well as just have fun making art! When parents set out looking for a children’s therapist to help with their child’s disorder or behaviour, they may be advised to try art therapy. A registered art therapist will engage the client in a safe space, offering a variety of creative outlets for them to communicate themselves. This could entail working through specific problems related to issues in the child’s life, or it could entail working on an underlying disorder, like social anxiety. It’s important to note that the child doesn’t have to excel at art; they don’t have to be a natural Van Gogh, as the point is less about creating beautiful products than it is about the therapeutic process of making the art. Art therapy is all about exploring oneself, bringing emotions and thoughts to the forefront that wouldn’t have otherwise surfaced through traditional communication. In this way, the child is able to discover, articulate and process their difficult feelings. Not only that, but they get the satisfaction of having done so by creating art. They have a lovely, tangible symbol of their emotional progress. Using art as a means of therapy is not a new idea, but what is new is the personalized, safe, professional approach that art therapy professionals offer. 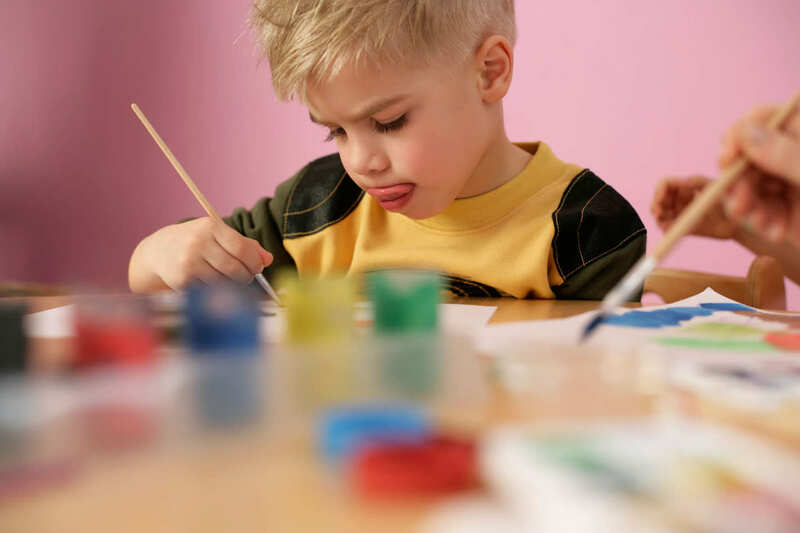 If you think your child might benefit from art therapy, don’t hesitate to contact a children’s therapist in Ajax today and inquire further about the benefits.